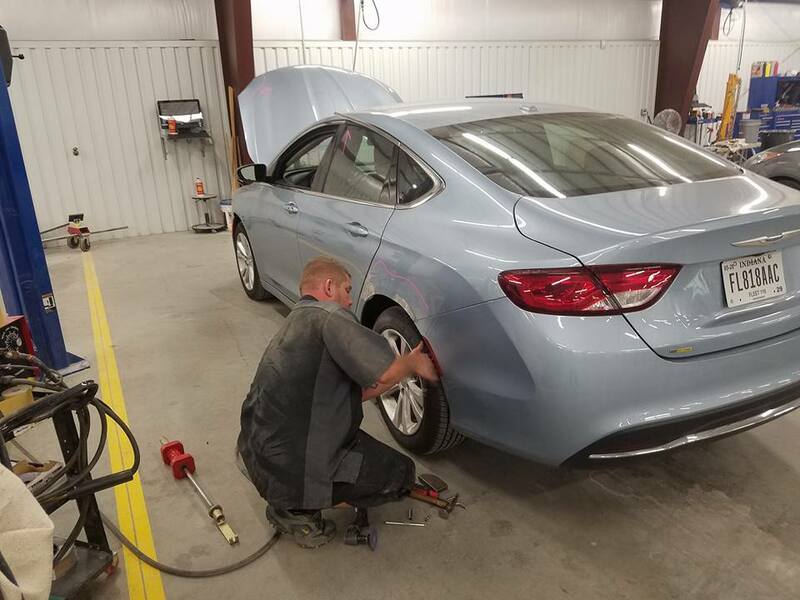 Autobody Express is a local business that takes their concern for Veterans very seriously. They have decided to take a wrecked vehicle, completely repair it and then donate it to a deserving veteran. Great job, guys! 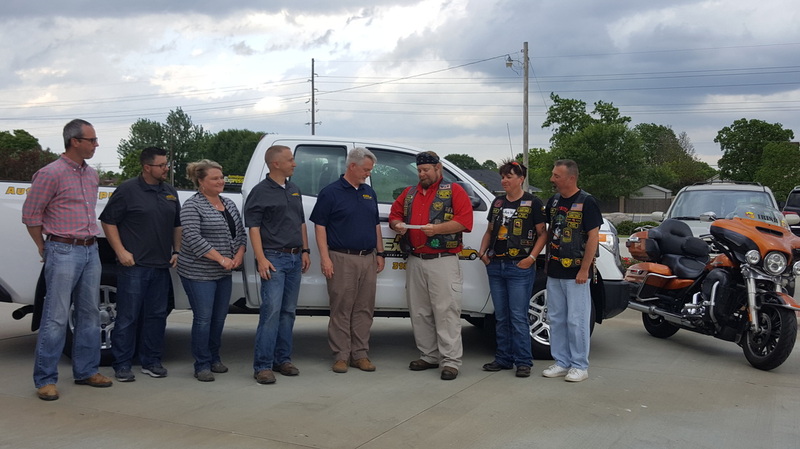 From left, Lucas Wright - General Manager, Richard Wheeler - Parts Manager, Teri Cloud - Sales Manager, Kelley Perry - Production Manager, Staten Fontaine - Owner/Operator, Kent Harrison, CVMA LA 6-3 CO, Sherri Bohannon, 6-3 PRO, and Shawn Bohannon, 6-3 Secretary. Both vehicles have arrived and work has begun! Estimated completion date, October 29! 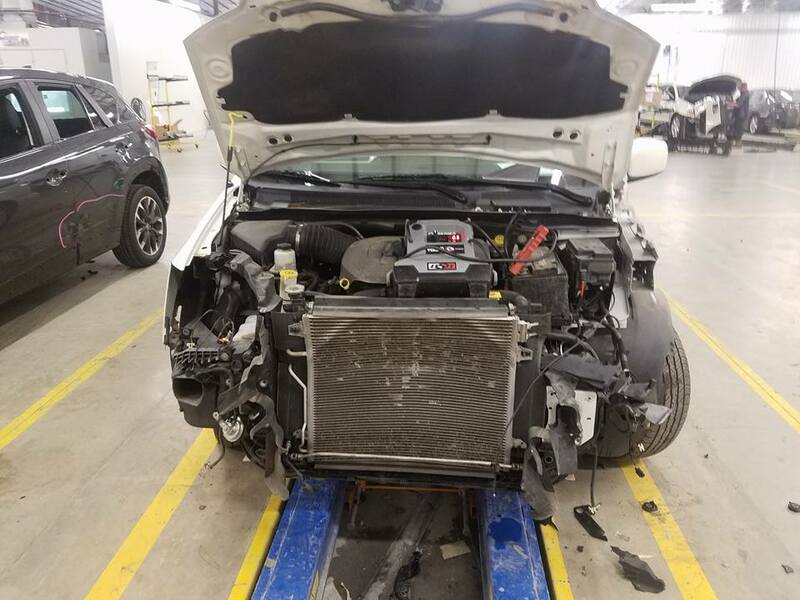 A couple of "before" pictures! Airbag and electrical work happening to the van. 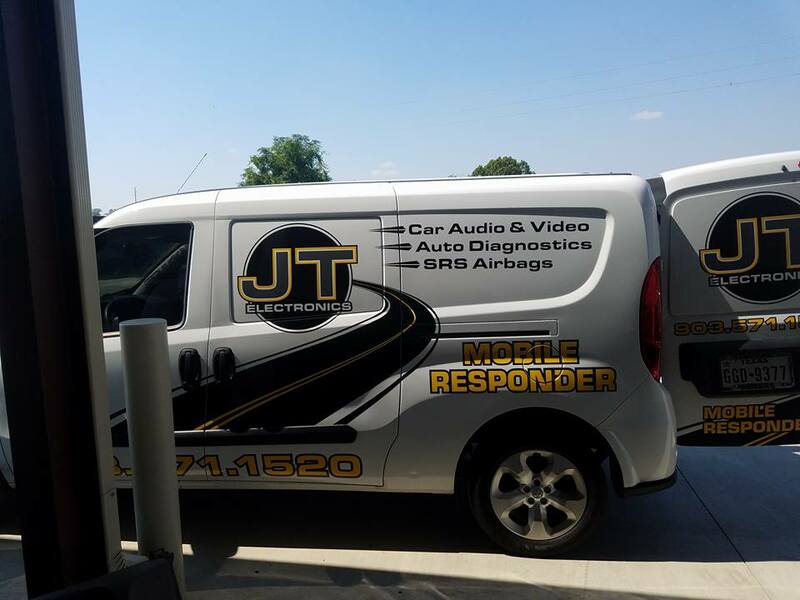 Donated by JT Electronics. 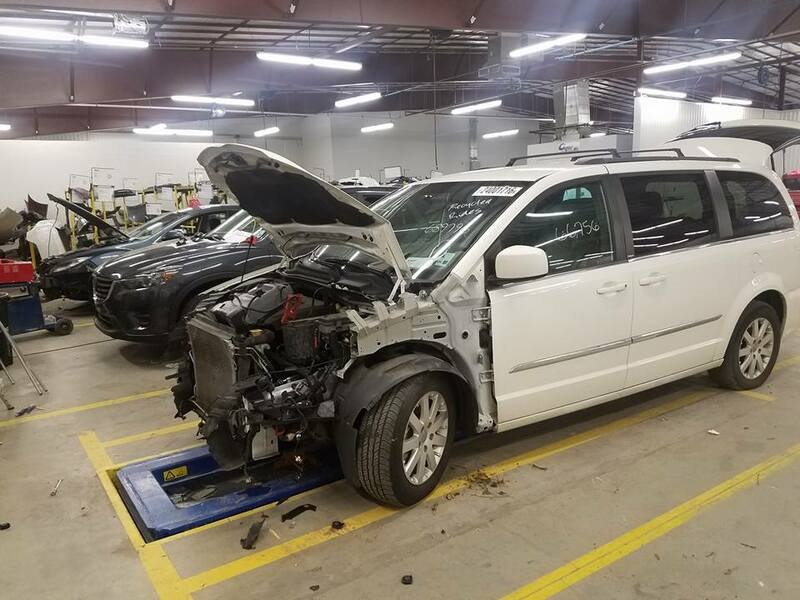 Work on vehicle #2 has begun! 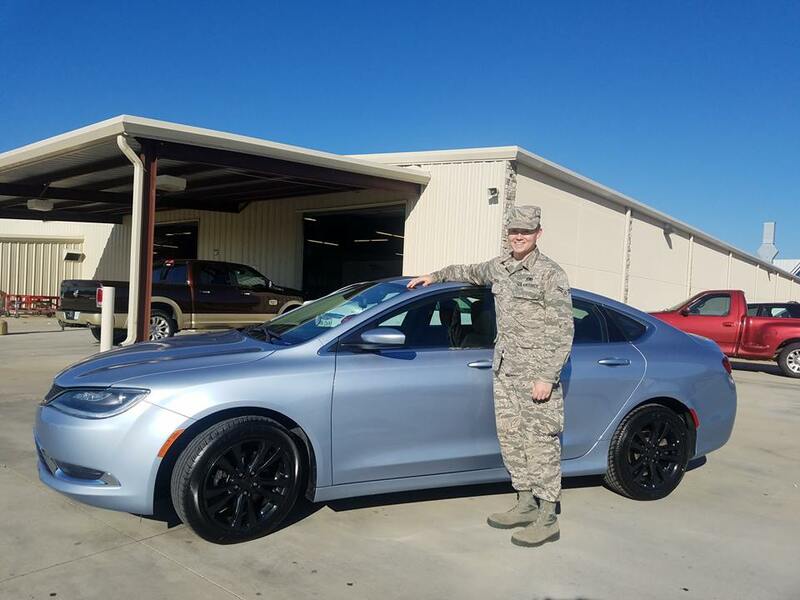 On October 29, AutoBody Express donated vehicles to two deserving veterans in the local Shreveport-Bossier area through the Recycled Rides program. 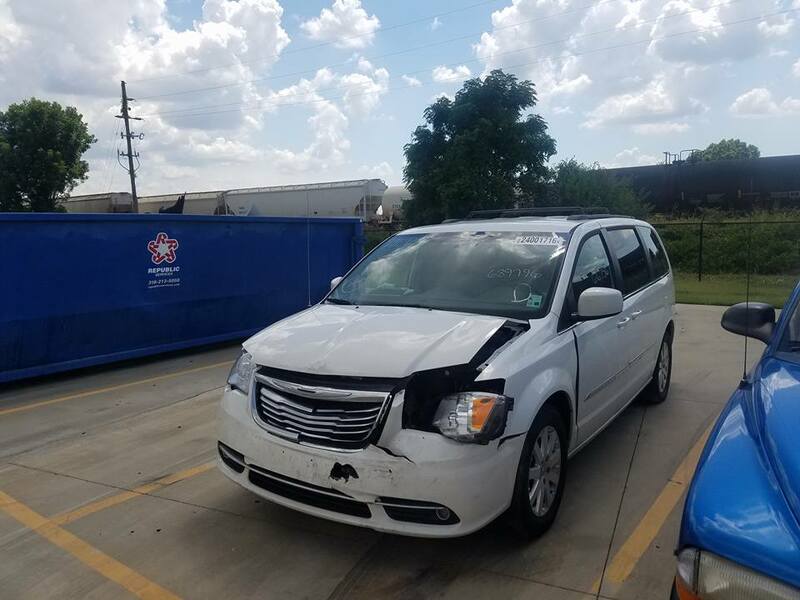 Recycled Rides is a unique program in which insurers, collision repairers, paint suppliers, parts vendors and others collaborate to repair and donate vehicles to deserving individuals and service organizations in local communities throughout the country, according to the National Auto Body Council’s web site. 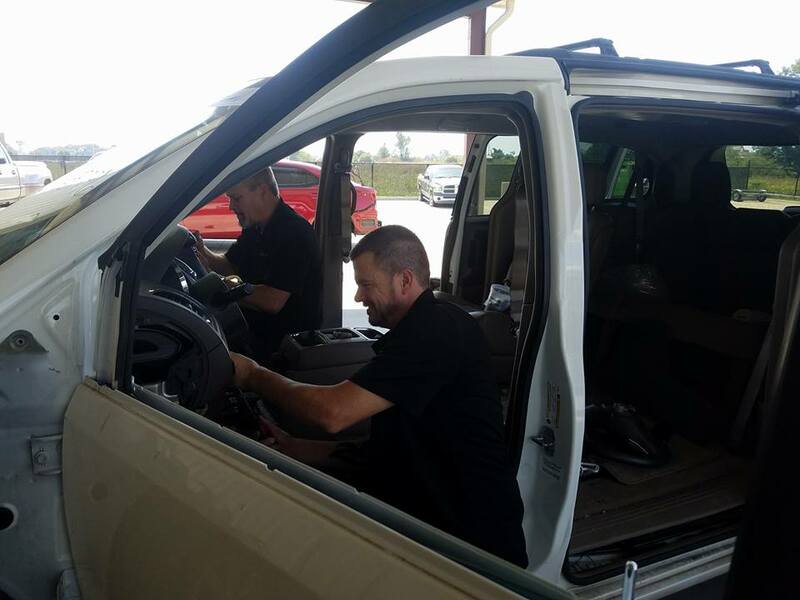 Over 1,000 vehicles have been donated through the program since its inception in 2007. 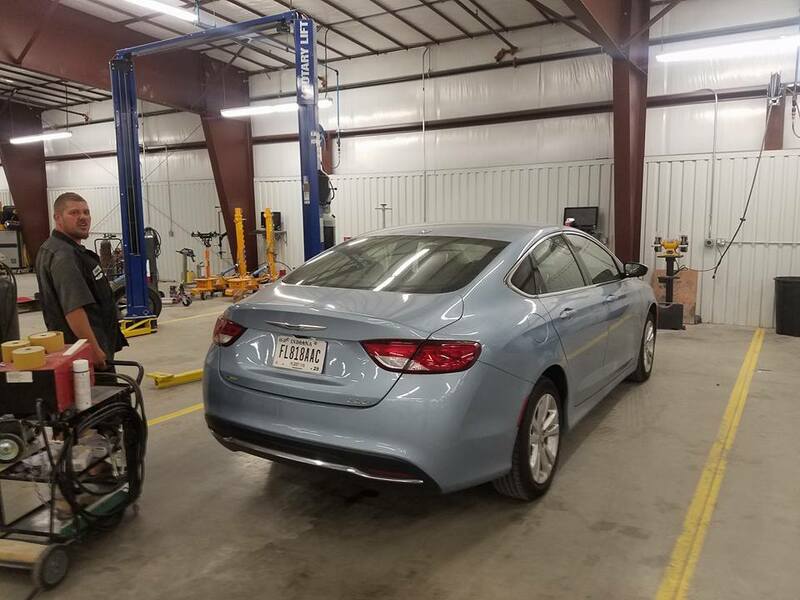 Production Manager and Combat Veteran Kelley Perry brought the idea of repairing a vehicle through the Recycled Rides program to AutoBody Express Owner/Operator Staten Fontaine back in April after hearing about the program through his former employer. 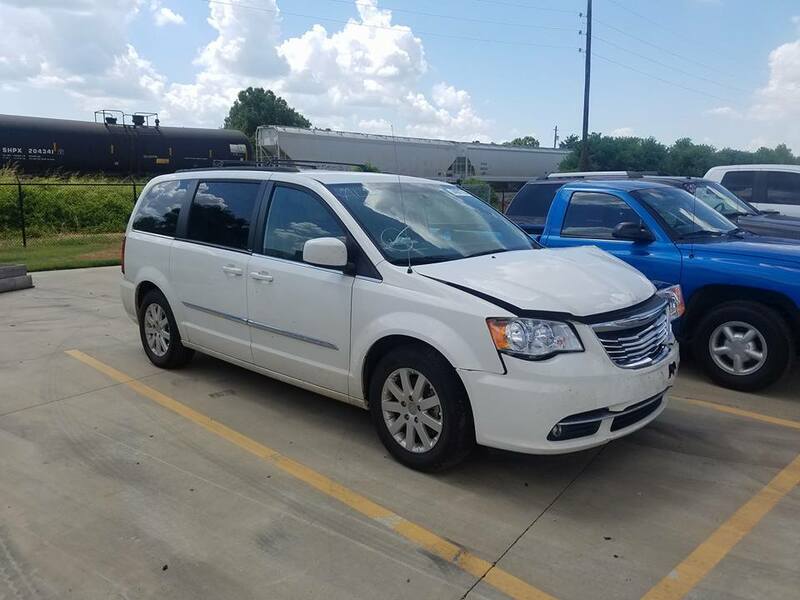 With expectations of procuring only one wrecked vehicle, the plan gained traction when Allstate and Enterprise Rent a Car generously donated two vehicles, a 2013 Chrysler Town and Country and a 2015 Chrysler 200. 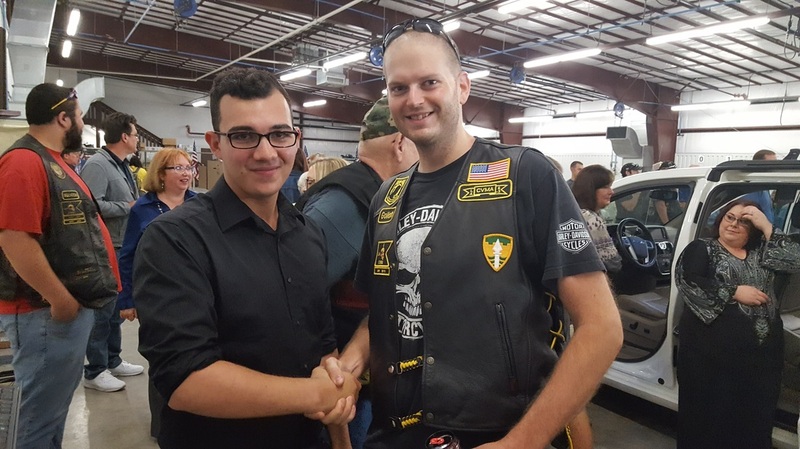 Perry, or “Gonzo” as he is commonly referred by his brothers and sisters in the Combat Veterans Motorcycle Association LA Chapter 6, then brought the idea to his CVMA local chapter 6-3. 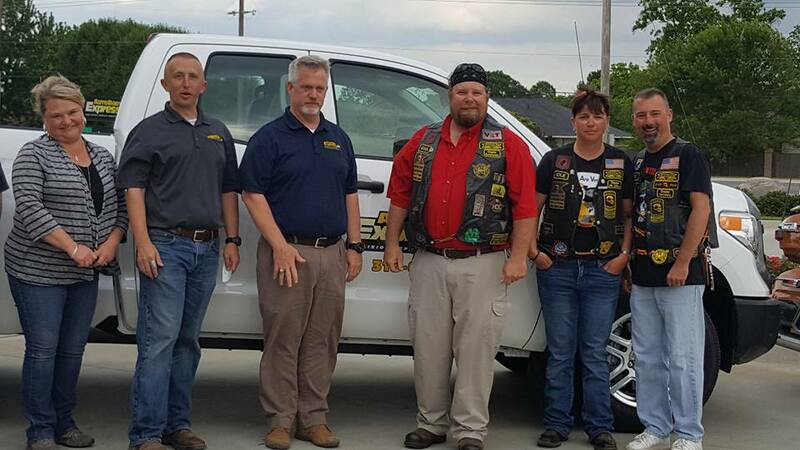 With this idea so adequately fitting the organization’s mission of “vets helping vets,” the chapter immediately agreed to donate $3100 of this past year’s proceeds from their annual poker run to the cause. 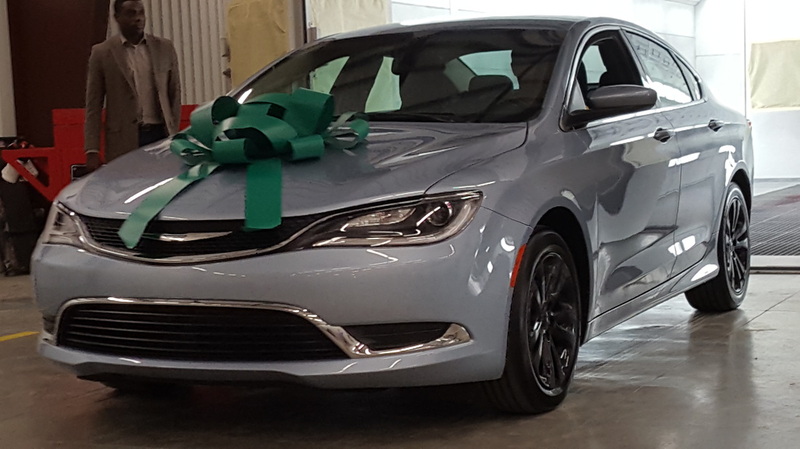 “I remembered thinking, this is big and all of our hard work is going to make a huge difference in the lives of two veterans and their families. I am honored to be a part of making a difference in these veterans’ lives. I am very proud of what the Chapter has accomplished and on October 29th we will be able to witness the fruition of all of our hard work. This is our mission "Vets helping Vets" at its core,“ Harrison said. 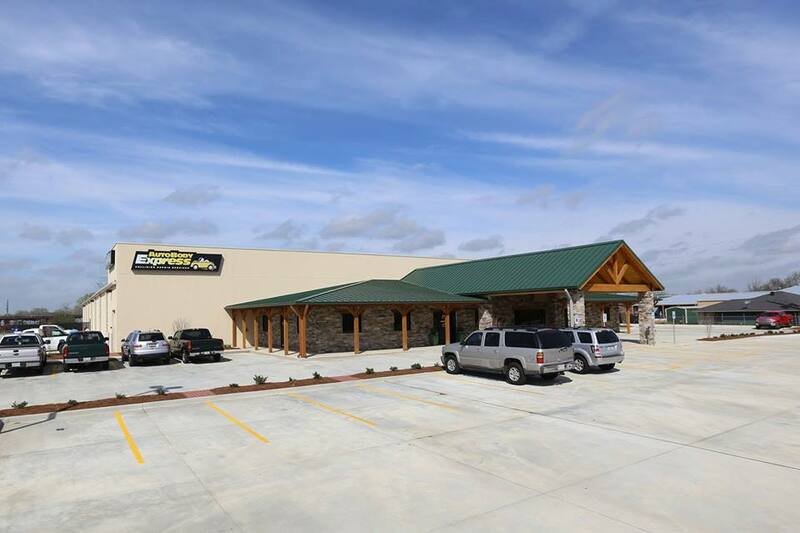 This year’s deserving veterans both currently serve in the 2d Bomb Wing, home of the B-52 aircraft at Barksdale AFB, La., located in Northwest Louisiana. Airman 1st Class Tyler Morgan is a non-destructive inspection technician; Airman Ahmed Benchehda is a member of the 2d Security Forces Squadron. Airman Morgan has had to rely on his supervisor to transport him to and from work each day until now. 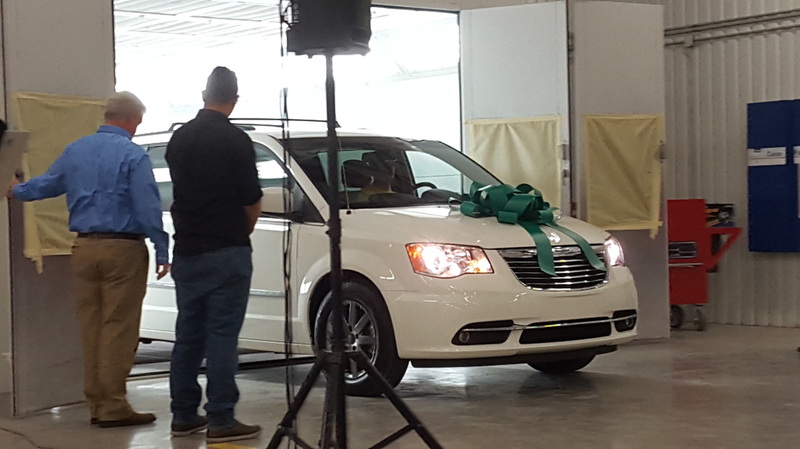 The 2013 Chrysler Town and Country van donated to Airman Benchehda’s family will enable his wife to work, making their family unit a more financially stable one, according to Gonzo. When asked what he thought of being given a second means of transportation, Airman Benchehda simply said, “amazing.” Enough said. 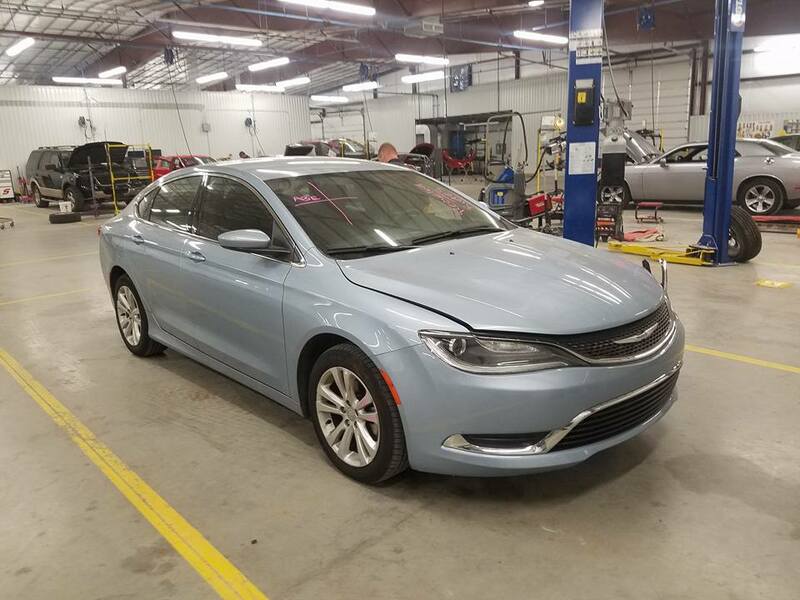 Perry said this is only the beginning for the local body shop, as it only plans to increase its efforts in its collaboration with the Recycled Rides Program in years to come.